I'm 100% with you. If it's not a stick shift I'm not interested. But what is the problem with a shared platform? Purism? Shared platforms are the way forward. As cars get more and more expensive to produce and people want more and more from their cars, it's just not feasible to develop unique platforms for mass produced cars anymore. 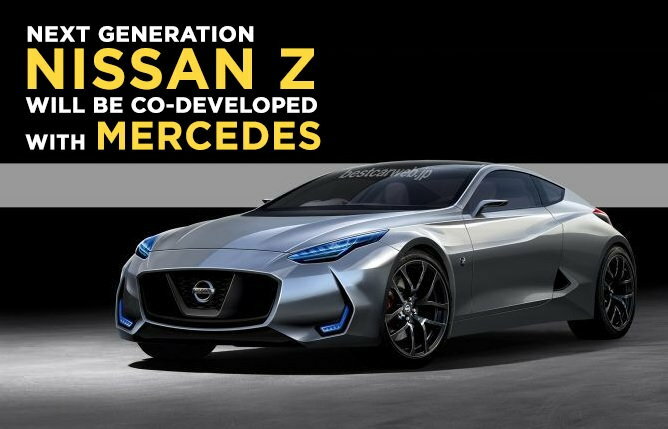 I don't see a problem with a shared platform if it means we get a new Z car and is affordable. As long as it has a Nissan engine. I'd rather have a unique car without auto this and power that. Fricken young people today can't buy a car unless it lets them connect with social media while driving. If it were my dream car, it wouldn't even have a spot for a radio. Now get off my lawn!!! No one buying a car for sport driving is going to base their decision on the center console screen. That said, manual is a dying breed with no financial justification to stick around sadly. Tiptronic is automatic with paddles. I wish they'd at least try to work the kinks out of sequential gearboxes. Last edited by Cracka350; 10-02-2018 at 08:58 AM. My wife says, "How come you don't get a NEW car? You can afford any of the ones we saw at the car show that you liked..."
Me: "Not about affordability.... I don't need to own a car that thinks - and often is - smarter than me, no thank you." After decades of race development, sequential gearboxes have had all "kinks worked out". But that doesn't preclude them from being complex and expensive to produce. After reviewing the options for putting a sequential dogbox into my tubeframe GT car, I was amazed at the cost of the cheapest option. That, and the cost of maintaining one, makes me look longingly at our six-speed manual. Tubeframe GT car, David? Now my curiousity is piqued-a-chu! Tell us more! Yes, sure. But I had the impression his problem was sharing platform with other manufacturers, as I'm sure he knows the 350Z shares a platform with other Nissans. Hence why I asked if it was for purism reasons. Last edited by Zet3; 10-02-2018 at 01:52 PM. The thing is, sharing a platform doesn't mean it will be all auto. It's not all lost yet. The new Aston Martin Vantage for example will be offered as a stick shift. I thought that for sure it would be paddles only. 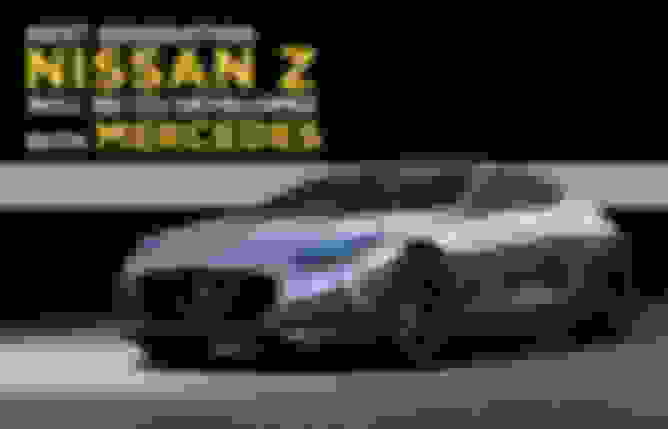 A new Z car has to be affordable. The Z was always a car for the masses. I wouldn't care if it was a shared platform with another manufacturer. As long as it had a V6, stick shift, hydraulic power steering etc. If the share platform would mean all this would be possible because they would save money, then I'm fine with it. Maybe Mazda for example is also thinking about bringing the RX7 back and also want it to be a manual shift etc. I wouldn't care if the new Z and the new RX7 would share a platform. Or any other sports car for the matter. Japanese or European. Last edited by Zet3; 10-02-2018 at 01:53 PM. Why a V6? With so many optional powertrains producing the same or more power out of different configurations, is there a reason to stick with the V6? Not challenging the venerable V6, just curious. Last edited by MicVelo; 10-02-2018 at 04:21 PM. Because since the first Z with the 240Z it has been a 6 cyl. Since inline 6s are no longer a thing, a V6 would be fine. Definitely not a turbo 4-pot please. Because the rumor is that it will be a Mercedes. Mercedes doesn't have any manuals. See also: Supra/Z4... No manual. It definitely won't have hydraulic steering. Almost no other Nissan's do and no Mercedes does. Oh and the shared platform won't save YOU any money, but it will put more in the shareholder's pockets, and I don't give a rat's *** about them. I had a dream the other night that I - for whatever reason - took the 5.4L engine out of my Benz and put it in my Z. Does that count? It was so vivid that I went outside and measured it to see if it would fit. OK, no go? I'm sure that I could make Hamilton or Bottas' AMG F1 engines fit into it. Never mind that the engine would be worth about 70 whole Z cars. It's true that most Mercedes are boring automatics. Even the great AMG GT. But in a shared platform, just because the Merc counterpart would be automatic, doesn't mean Nissan couldn't stick a manual box in theirs. A shared platform is just that. Look at the Fiat 124 Spider, which shares the MX-5 platform. But it has a Fiat engine and different gearbox. The new Aston Martin Vantage has an AMG engine. But it will be offered as a full manual gearbox too. So there is still hope. And Mercedes is a great company to collaborate with. They have great tech. Since they already sell a Nissan truck rebadged as a Mercedes here in Europe, it means they are already working together. Besides if it looks like this and with a 6 speed manual, it's not bad at all! For those who don't like whatever the new Z might be, they will always have their 350Z and 370Z to keep forever if they wish. I have to disagree a shared platform won't save us money. It will. If it has an unique or proprietary platform in this day and age it will mean one of two things. Either we will have to pay more for the car or we won't get as much for the money. No way around that these days. Last edited by Zet3; 10-08-2018 at 07:06 AM. I live in the real world, not what-if-istan. Shareholders rule, enthusiasts drool. I'll wager $100 right now there will be no clutch pedal in either car. Willing to take that bet? I totally see where you two are coming from. All I'm saying is, there is still hope. Did you think the new Vantage would have a manual option when you heard of the car? I sure didn't. I was certain it would be paddles only. But yet, Aston will offer it with a 6 speed manual. So you never know. I would think they sell even less manual Astons as they do manual 370Zs.